Description: The pledge that every willing soul takes to join the Undead Legion. It will follow you for the rest of your unliving existence. Must have purchased either the Legion Oathkeeper T-Shirt or Legion Undersworn T-Shirt from HeroMart. The scrolls reads, "I accept the darkness and shed my mortal coil. I reforge my soul as an eternal weapon of the Undead Legion. 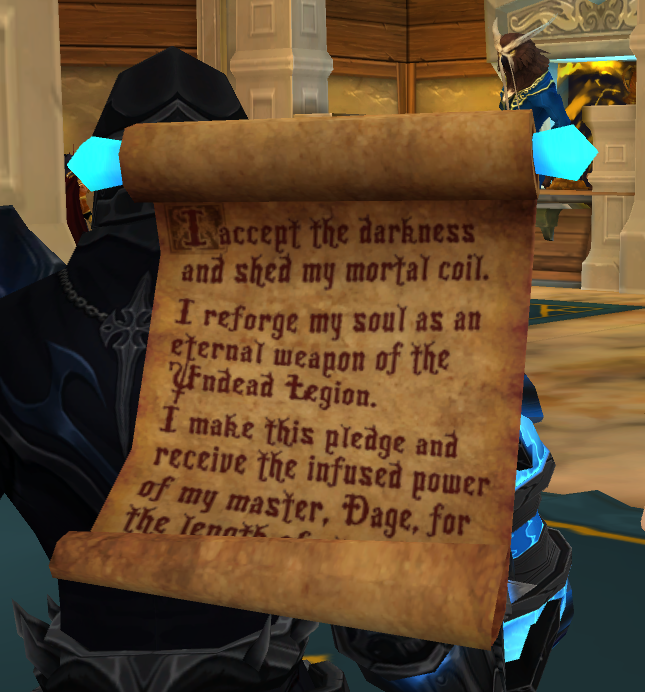 I make this pledge and receive the infused power of my master, Dage, for the length of eternity."